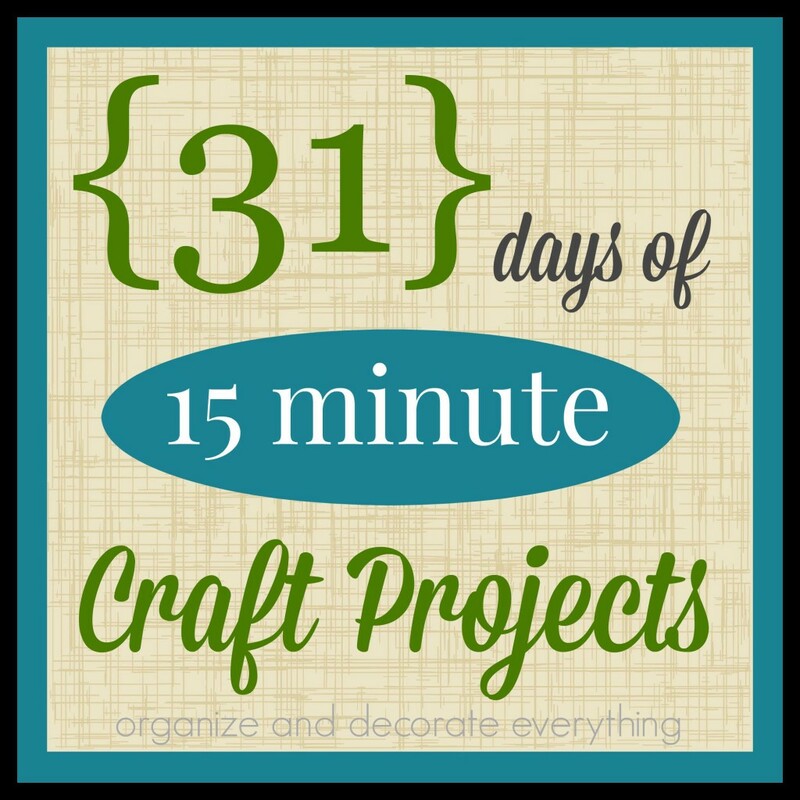 Welcome to day 17 of 31 Days of 15 Minute Craft Projects. 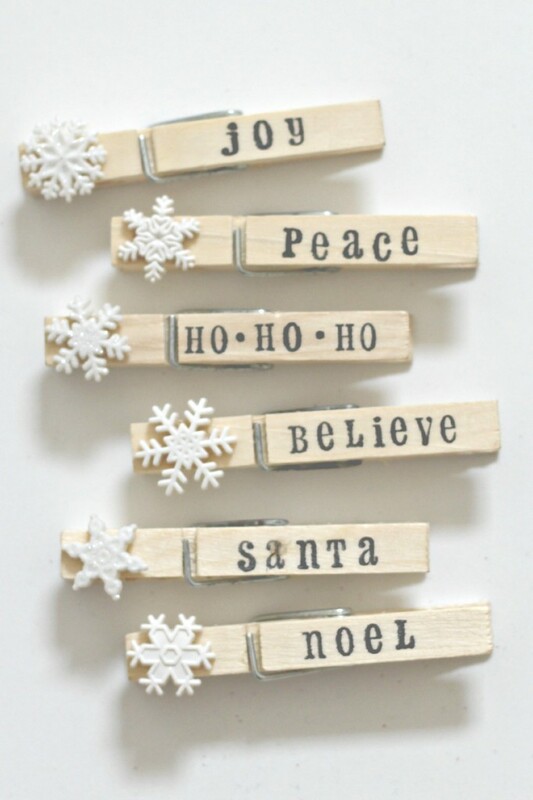 I love clothespins! 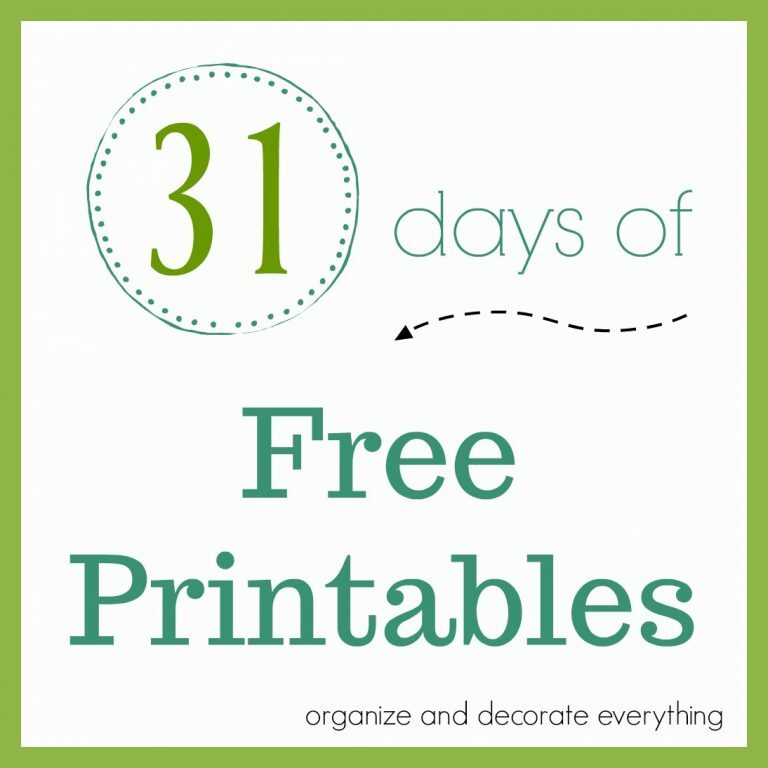 They’re a fast and easy way to hang a banner, you can decorate them however you like, and they’re functional. 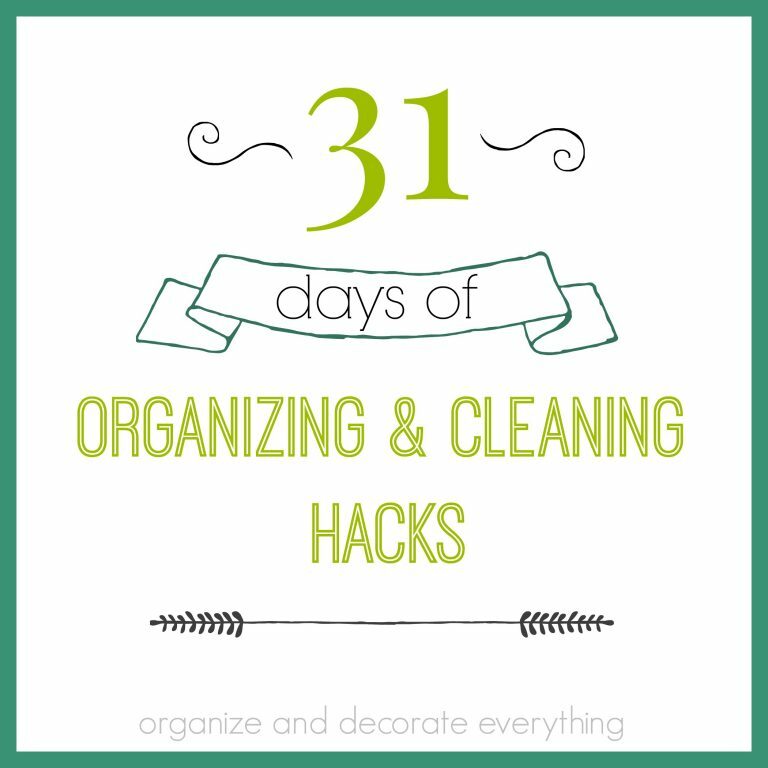 Any item that can be used for decorating, crafting, and organizing is #1 in my book! 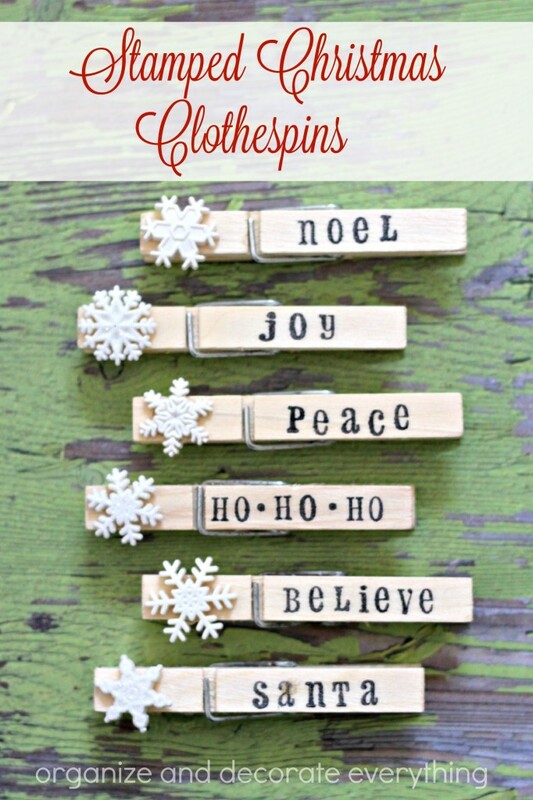 I chose to make Stamped Christmas Clothespins using a few supplies from my craft room for the 15 minute craft project today. There are so many options on how to use them. 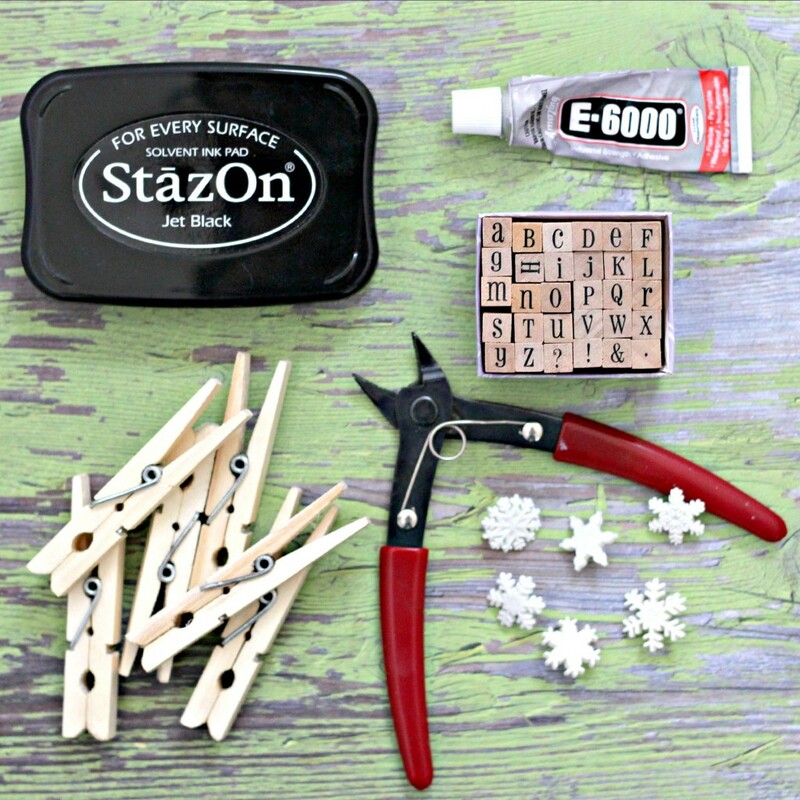 When I stamp clothespins or any other item I start with the center letter of the word and work out. 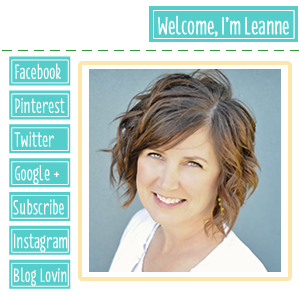 It makes it centered or close to center without having to measure it. All stamps are a little different so I like to do a test stamp on a piece of paper to figure out how much pressure to use while stamping. 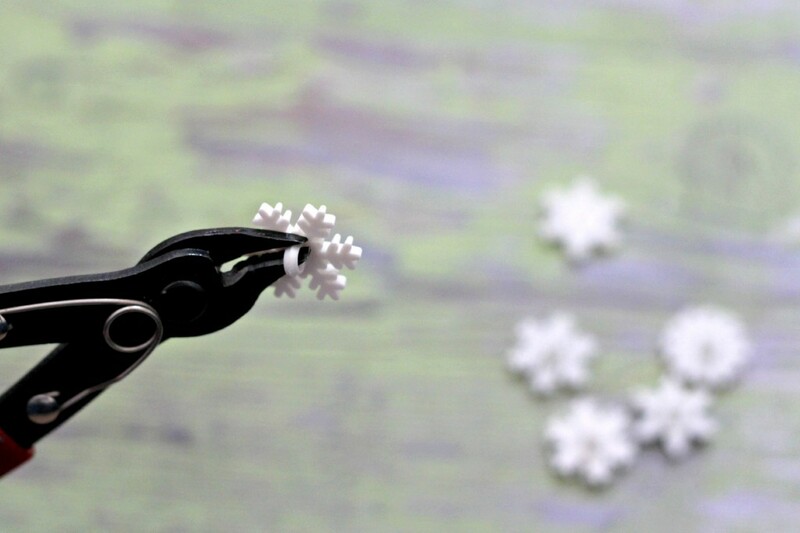 Use wire cutters to snip the shanks off the back of the buttons. Cut as close to the back of the button as you can. You want to get it as flat as possible to be able to adhere it easily to the clothespin. 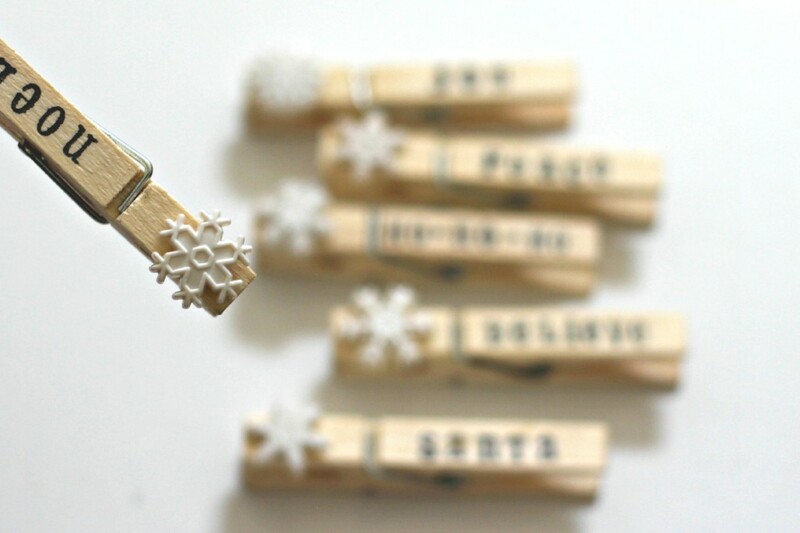 You don’t need to add any embellishment to the clothespins but decorative buttons are a good size and work really well if you want to add something. 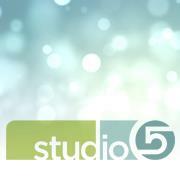 You can also add small wood cutouts or any little embellishments found in the scrapbook area of the craft store. 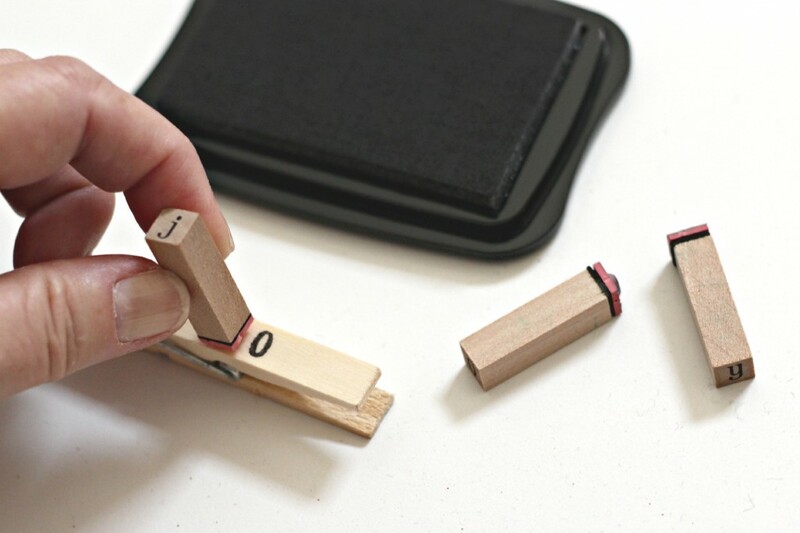 I used E6000 glue to attach the buttons to the clothespin. Let it dry for at least an hour. 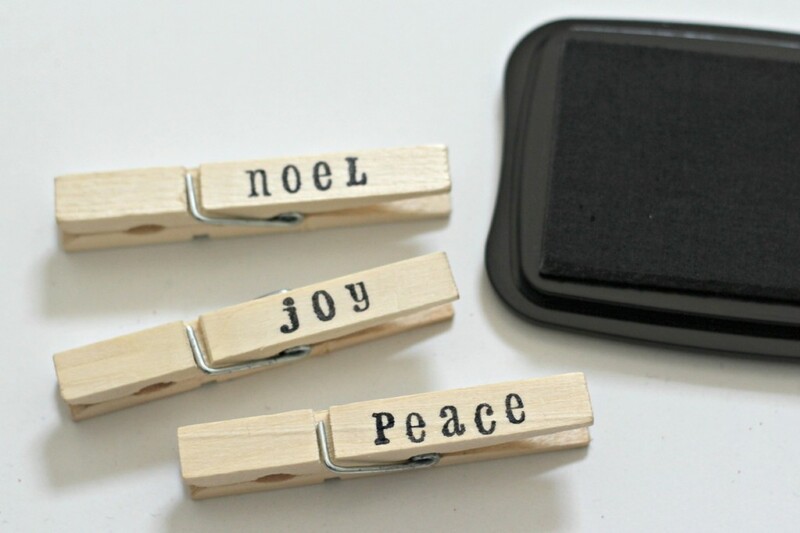 These are perfect for holding a banner, adding gift tags to presents or holding Christmas cards. Mine are going to be holding a banner this Christmas, although I might need to add a few more. I can’t wait to use them. 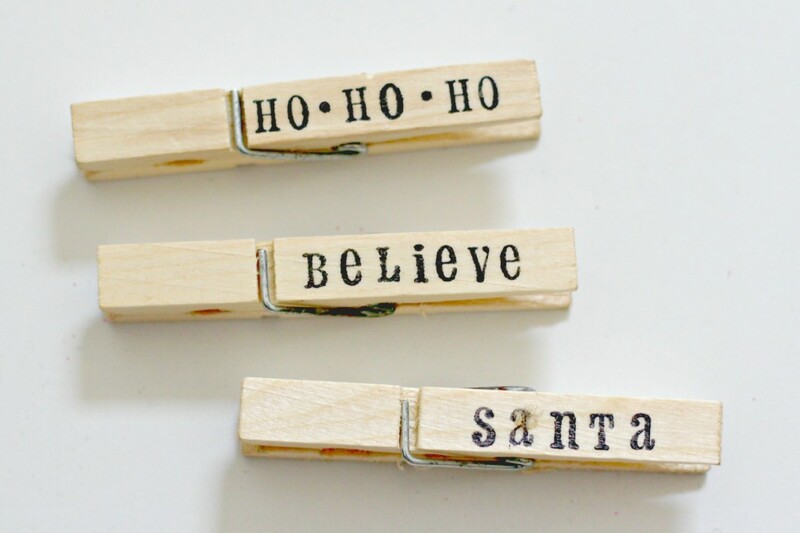 You might see a couple more clothespin projects in the next couple weeks. I have a little obsession with them.